SolSuite is a high-quality collection of 504 fun and easy solitaire card games with more than 9 trillion possible games for each solitaire! All of the world's best solitaires are here including Spider, Klondike, FreeCell, Pyramid, Golf, Monte Carlo, Canfield, Gaps, Forty Thieves, Four Seasons, Napoleon, Diplomat, Poker Solitaire, Flower Garden, Rouge et Noir; along with dozens of original solitaires that you can not find else where. ...... La Belle Lucie, Poker Solitaire, Flower Garden, Rouge et Noir; along with dozens of original solitaires that you cannot find elsewhere, such as King of Scotland, Baccarat Solitaire, and Mayflower! * 504 world's best solitaire games! * More than 70 awesome card sets! * More than 300 beautiful card backs! * More than 80 awesome card sets! * More than 100 backgrounds! * Large Card Sets easier to see! * Lots of advanced features, options and statistics! 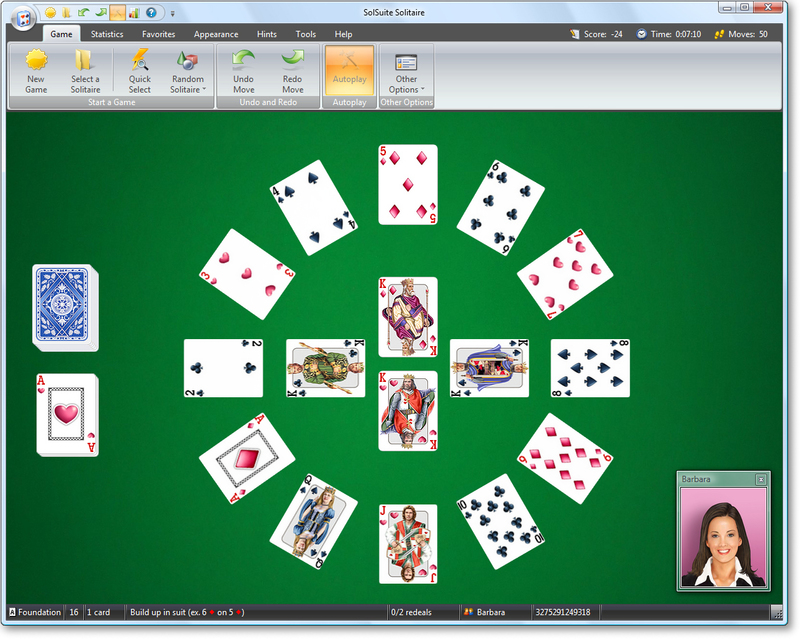 Qweas is providing links to SolSuite Solitaire 2011 11.10 as a courtesy, and makes no representations regarding SolSuite Solitaire or any other applications or any information related thereto. Any questions, complaints or claims regarding this application SolSuite Solitaire 2011 11.10 must be directed to the appropriate software vendor. You may click the publisher link of SolSuite Solitaire on the top of this page to get more details about the vendor.